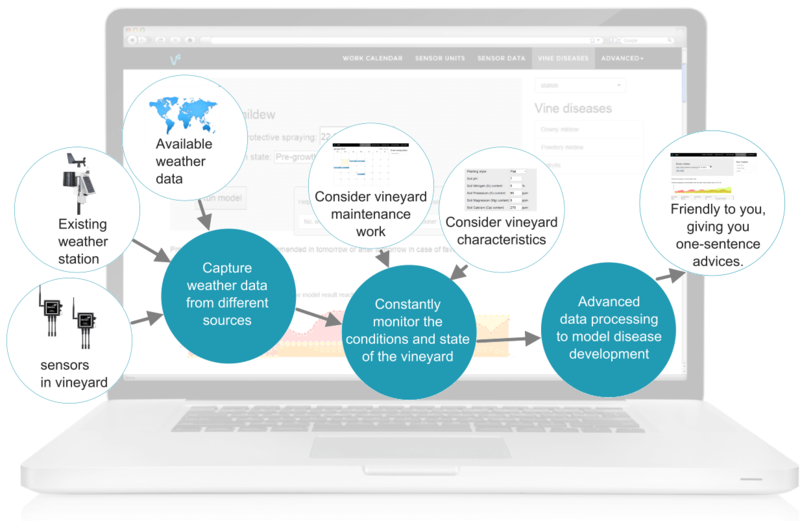 Over the years, several Decision Support Systems (DSS) have been developed to help winegrowers, vineyard consultants and other viticulture experts in the management of grapevine disease, as well as other important factors for vineyard management activities. At the beginning, those systems were often too expensive for average growers to afford them, as well as not really user-friendly. 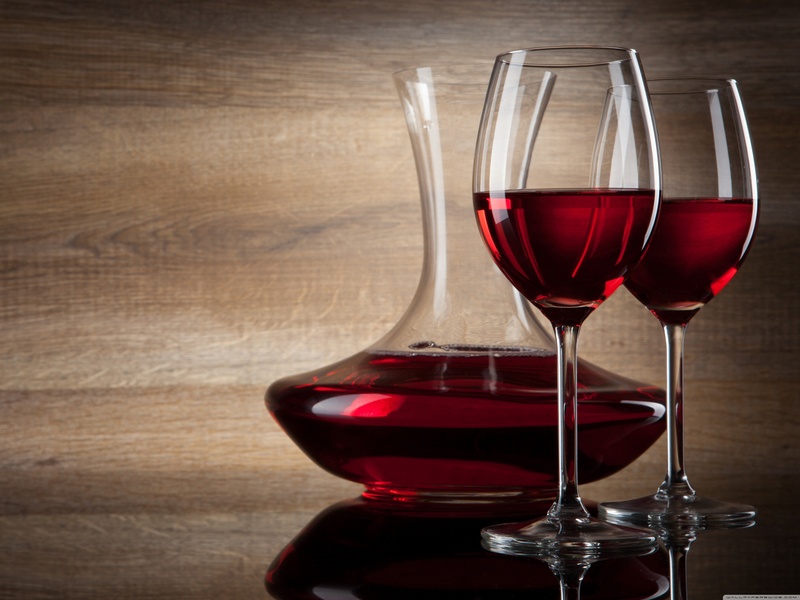 But things have changed with the improvement and accessibility of IT technology, and DSS are nowadays widely available for both smaller and larger winegrowers. What a Decision Support System even is? A Decision Support System (DSS) is an information system that integrates and organizes all types of useful information, such as raw data, documents, and business models, required for production decisions. And therefore support business or organizational decision-making activities – i.e. 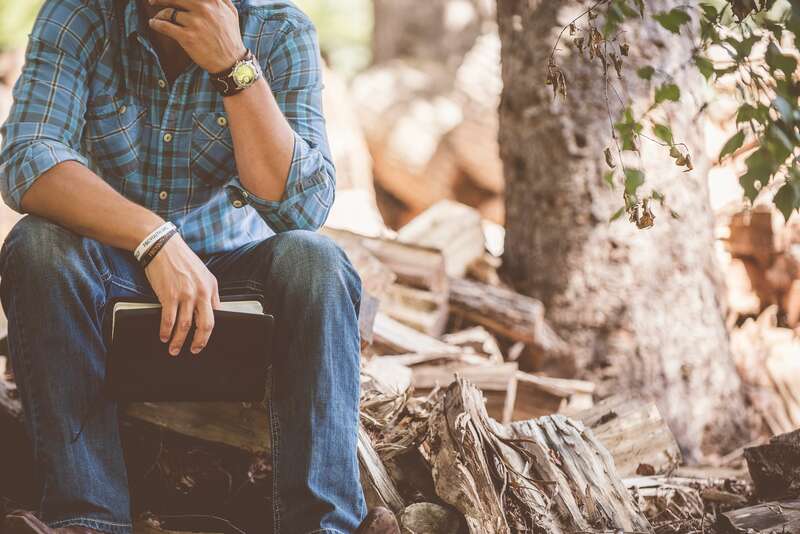 help people make decisions about problems that may arise over time. Decision support system is an interactive software-based system intended to help decision-makers to identify and solve problems and make decisions. DSS are nowadays used in many sectors such as medicine (example: for medical diagnosis), in business and management (example: for bank loan verifying), and of course in agriculture to help farmers decide What to do, Where, and When. In viticulture, the decision support systems are used to help vineyard managers make smarter decisions about work activities that need to be done in order to produce the desired quantity and quality of the grapes. A comprehensive DSS for vineyard management includes several components such as decision supports for canopy management, disease, and pest control, scheduling irrigation, alerts on potential hazards such as freeze or hail storms, control of the growth phase of grapevines and grape ripening, precise and efficient usage of fertilizers, as well as estimates of the the yield, costs, etc. Probably one of the most useful and researched feature of DSSs are plant disease and pest forecasting models that help vineyard managers determine the best timing of spraying application against certain disease and pests. With the technology improvement, several tools for disease forecasting have been developed and re-adapted, for a specific climate and location, over time. 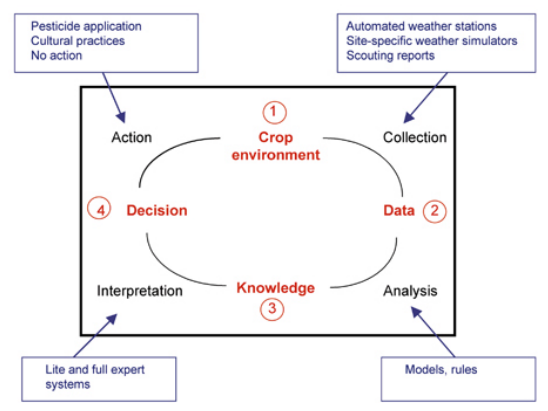 The crucial part of those models are agro-mathematical algorithms that on the basis of collected data from automated weather stations, site-specific weather products, and weather forecasts, in combination with provided field data and knowledge base, advise growers to either use or not to use pesticide application and/or which cultural practices to use in order to improve their baseline and crop quality. The figure below shows how DSS models for plant disease management works. Figure (by R.D. Magarey et al. 2002.) An idealized Decision Support System for plant disease management showing components (in red), methodology (in black), and tools (in blue). A Decision Support System for crop management started developing in the 1980s in order to lower the number of pesticide applications to practice more nature-friendly pest control – Integrated pest management (IPM) – as well as for more cost-effective plant protection. Several studies show that the treatments prescribed by the decision support system provided good control of grapevine diseases such as downy mildew, powdery mildew, botrytis, etc. For example, a field study from the Ohio State University showed that the fungicide applications based on the warning system for Phomopsis cane and leaf spot control provide the same level of protection as calendar-based spraying. However, over the course of 3 years, fungicide applications based on warning system resulted in approximately 4 to 6 fewer applications over the growing year in comparison to the calendar-based fungicide applications. Therefore not only that decision support system enables the rational use of plant protection products and thus enables growers to grow grapes in a more sustainable way, it also provides cost savings on fungicides, water, labor, and equipment costs, due to fever spraying applications. 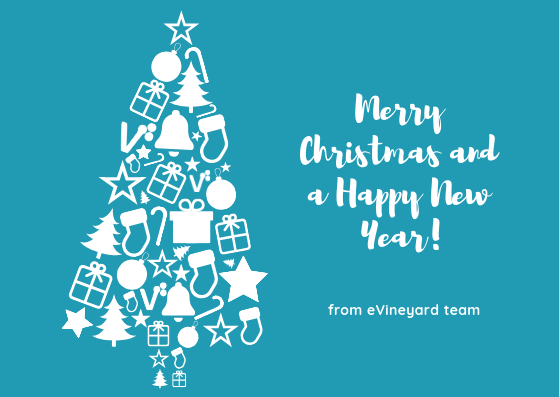 Also at eVineyard, we have tested our diseases forecasting models systematically together with the growers in the years of 2015 and 2016 which resulted in 30 to 35% reduction of spraying applications, and no disease outbreaks. Of course disease forecasting models are the strongest in combination with automated on-site weather monitoring system which increases accuracy and site-specificity of the forecasting information. A study in Sicily showed that the microclimate of the vineyard may be considerably different (up to 37% different) from the climate of the macro-area closest to the plot. 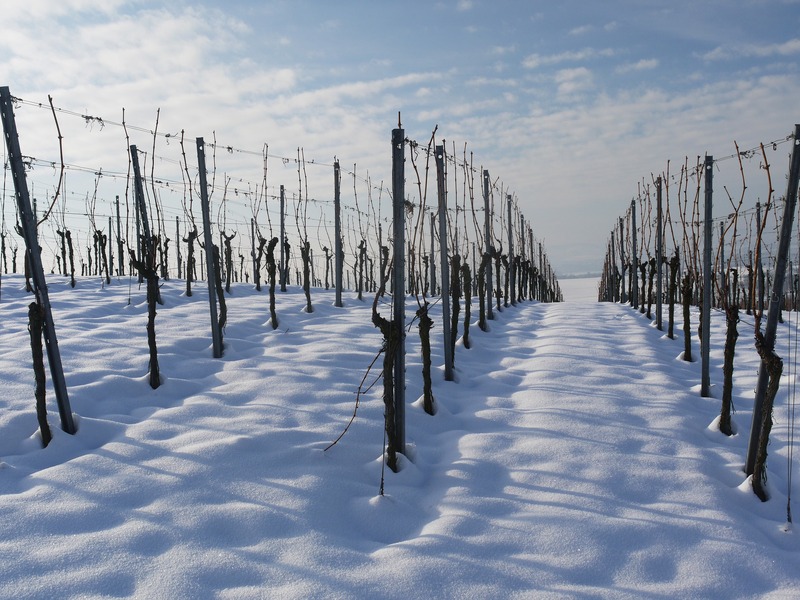 Therefore monitoring of the micro-climate is crucial for rational management of the vineyard, reduction of the costs and detection of serious hazards of grapevines. You know how it goes: if you have poor quality data getting into the system you can’t expect perfectly accurate advises: junk data in – junk data out. You can’t make good advice from bad data, just as you can’t make exceptional wine from low quality grapes. That’s why at eVineyard, we enable you to purchase our vineyard management system in combination with sensor node devices. We offer plug-and-play weather stations from several partners, which are cost effective, and at the same provide accurate on-site weather data directly from your vineyard. Most of the weather stations that can publish data to the Internet can be connected with eVineyard today. Check which weather stations are compatible with eVineyard Integrated pest management package here. 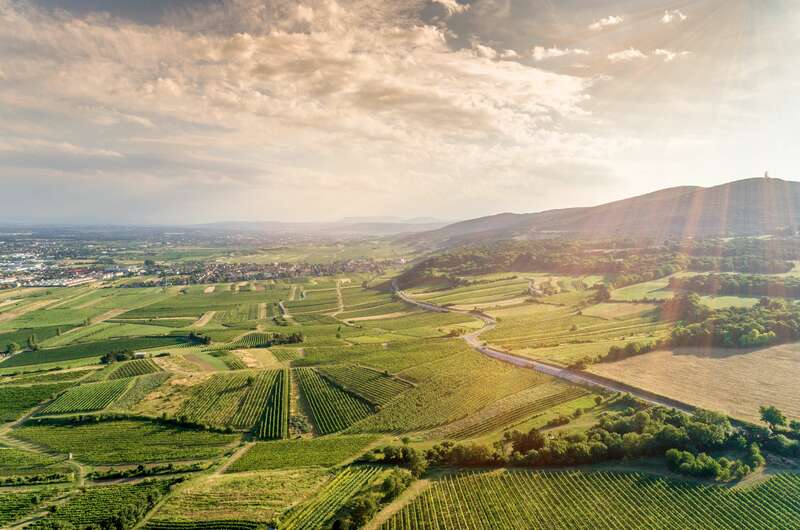 Decision support systems have proven to be of a great help to vineyard managers in decision making for all aspects of vineyard management, as they give clear, updated, unbiased and specific view of vineyard status – soil, plant and weather conditions. In combination with the on-site weather station, they provide precise information that grower can use to make an informed decision. 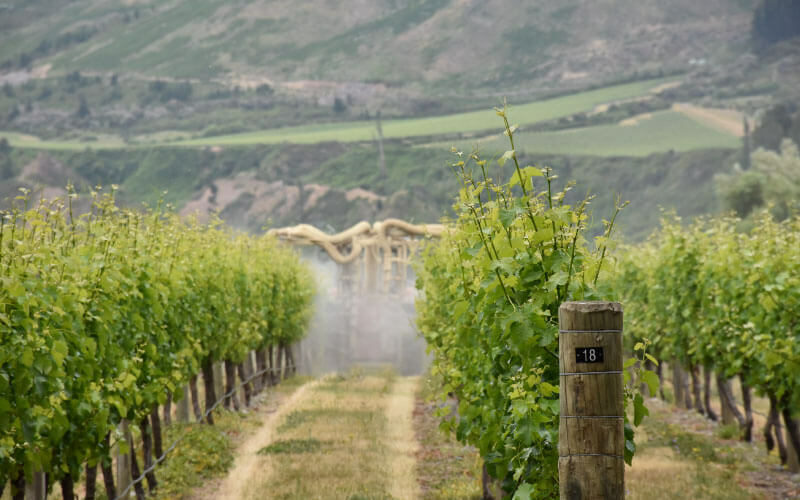 With the help of DSS, winegrowers can make smarter decisions about field-work, such as determine the best timing of spraying application against certain disease in order to protect grapevines in a sustainable and cost-effective way. Nita, M., Ellis, M. A., Wilson, L. L., and Madden, L. V. 2006. Evaluation of a disease warning system for Phomopsis cane and leaf spot of grape: A field study. Plant Dis. 90:1239-1246. P. Catania; M. Vallone; G. Lo Re; M. Ortolani. 2013. A wireless sensor network for vineyard management in Sicily (Italy). Agric Eng Int: CIGR Journal Vol. 15, No. 4. R. D. Magarey; J. W. Travis; J. M. Russo; R. C. Seem; P. A. Magarey. 2002. Decision Support Systems: Quenching the Thirst. Plant Disease / Vol. 86 No. 1.